The 50 key modes, garments, and designers, each explained in half a minute! Even if you’ re not a regular follower of Suzy Bubble, Le Happy, or The Sartorialist, you probably have some feeling for fashion. Most people have a vague idea of what’ s in, what’ s out, and what they might consider putting on their own backs. Less familiar to most, however, is the way fashion works as a global business – a multi-billion-pound industry, employing over 27 million people – just who decides what’ s cutting edge and what’ s long past its sell-by date. 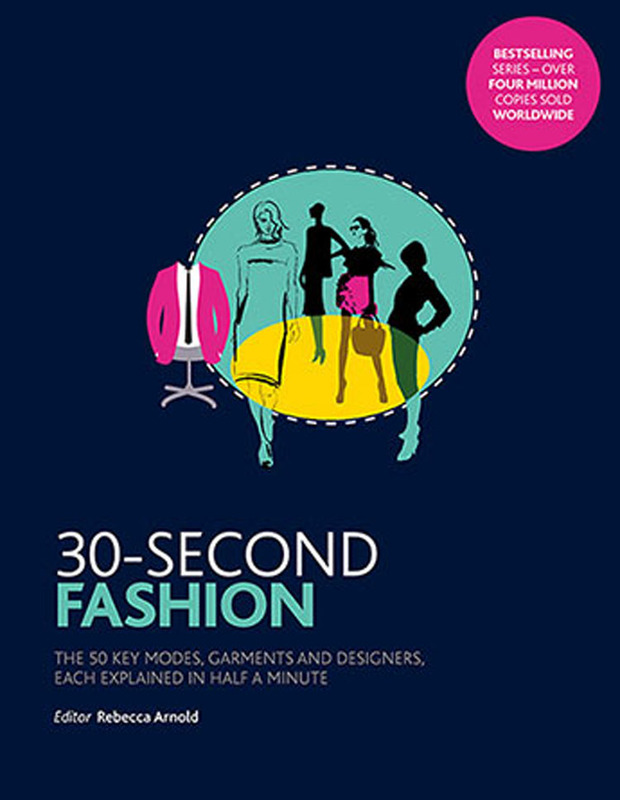 30-Second Fashion offers an engrossing crash course to how the style world works today, alongside an engaging look at the founding fathers (and mothers) of fashion who set it up that way.